Wonderful experience, value for money, taste and quality food is the experience of life. Thanx for making our party auspicious. I like your service, Quality and presentation was really good. I appreciate the mixture of trending and traditional taste of food. Thanks for being and work for us. Our son's marriage was having a great amount of guests, and you guys made it perfect. The guests loved the food, and we are definitely calling you back. Thank you very much for the wonderful food and service you provided. The food was delicious and many of my guests raved about it saying that it was the best food they have ever had at a wedding. I have given your name out to a lot of people. The service you provided me was outstanding and it made this special day successful. 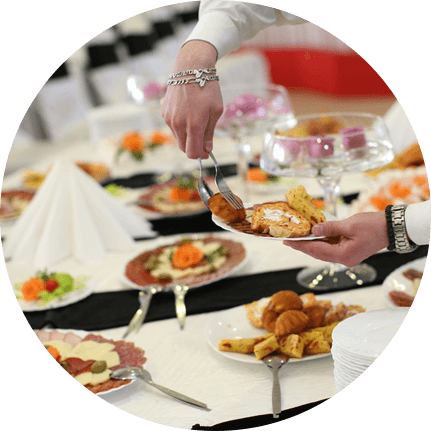 My family has used your catering service for four weddings now and we will definitely keep you in mind for future events.